Summary: Wanna make wedding flower hair comb for bridal? 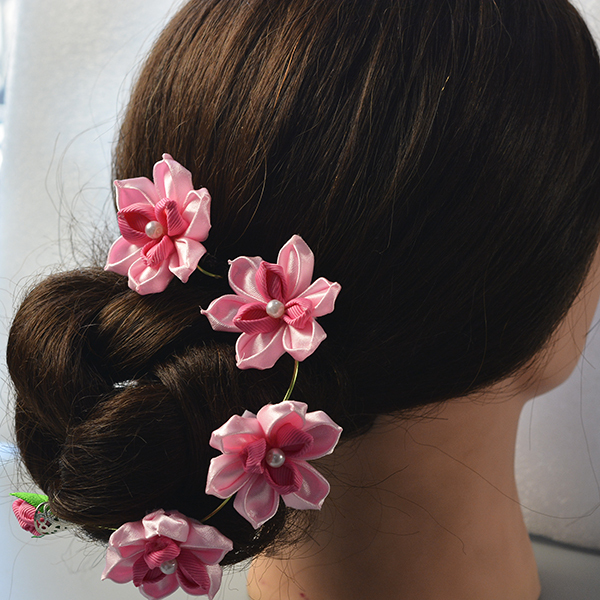 This tutorial will tell you how to make hair comb with pink flower for wedding bride. See the pink flower hair comb in the picture, it is quite beautiful, yes? We always see many nice hair accessories in a wedding party, so here I will share a wedding flower hair comb with you all. 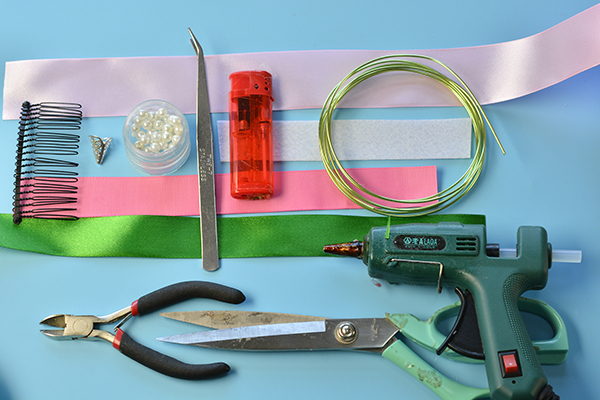 It is so easy for even a green hand to make, hope you will like it and make one yourself. 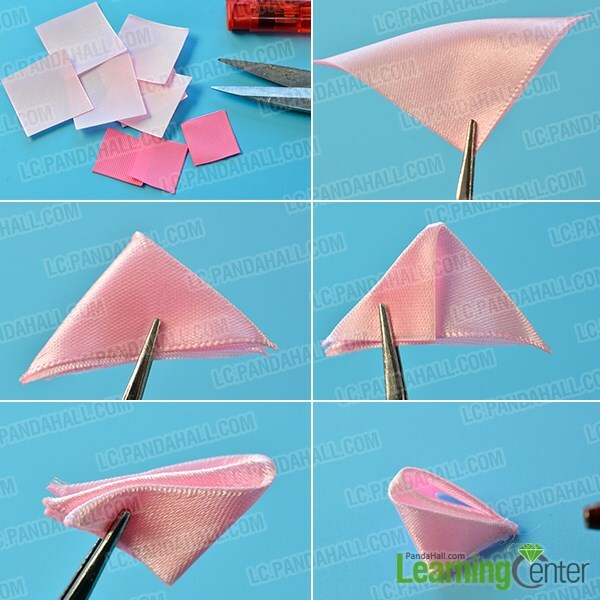 2nd, fold one piece of pink ribbon along the diagonal, then fold it again in half and fold the 2 angles once again as pictured, and glue the points together with glue gun. 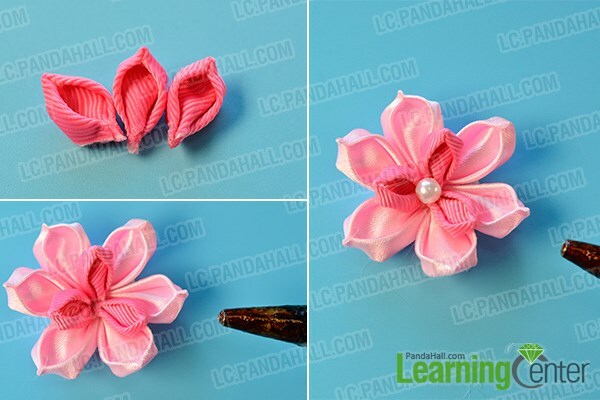 3rd, tailor a piece of round shape with white felt, then glue 6 pink petals to it as a flower. 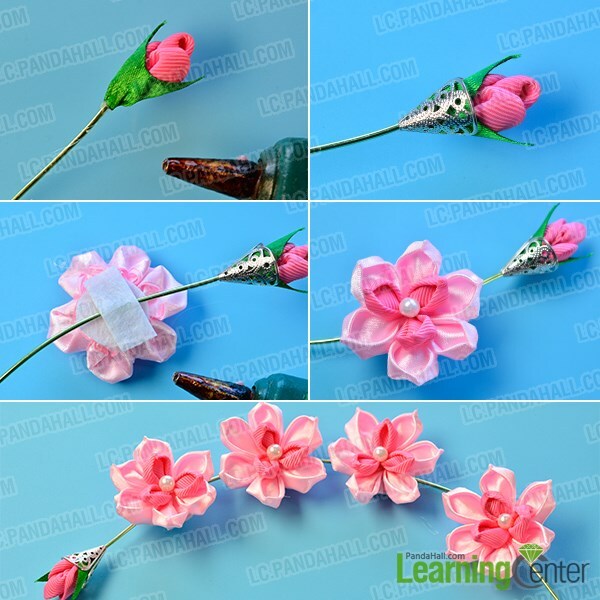 2nd, glue the 3 petals in middle of the flower with the pink flower together, and then glue a white pearl bead in center of it. 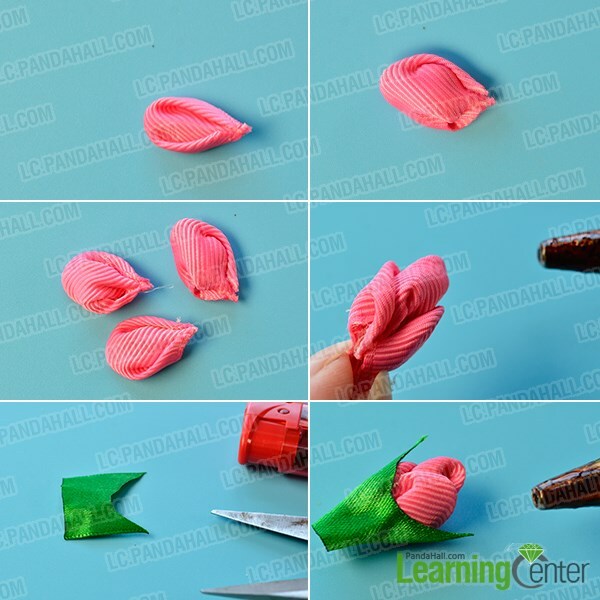 2nd, cut a piece of green ribbon as pictured, and glue it with the flower bud together as leaf. 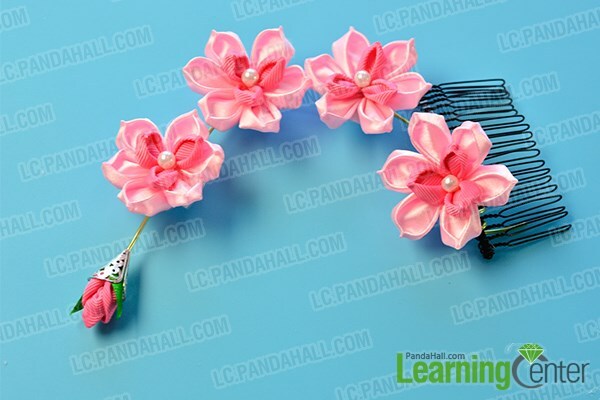 3rd, make other 3 pink flowers and add them to the aluminum wire with glue gun. 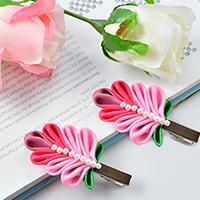 Wrap the aluminum wire with pink flowers to a hair comb finding, then the pink flower hair comb is finished. Here is the final look of this wedding flower hair comb! 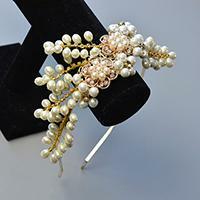 The wedding flower hair comb is finished now, do you like this cute and sweet hair comb? If you like it, follow my detailed steps on how to make hair comb to make your own! Have fun!